If you've been to CVS, you've likely gotten a receipt that could be measured with a yard stick. The pharmacy giant is known for its lengthy paper receipts, but are you familiar with the environmental impacts and human health risks behind them? These small slips carry within them a big waste of natural resources and use a Bisphenol S coating (aka BPS, a similar chemical to BPA, and linked to endocrine-disrupting health problems). Producing CVS’ notoriously long receipts takes over 35,000 trees and enough energy to power 84,800 refrigerators every year. The pharmacy’s receipt production emits 44 million pounds of CO2 and produces the same amount of solid waste generated by half a million people every day. The phenol coating makes them unfit for recycling, adding even more waste. CVS receipts have been tested and found to have BPS in their coating, which poses health risks for workers and customers. 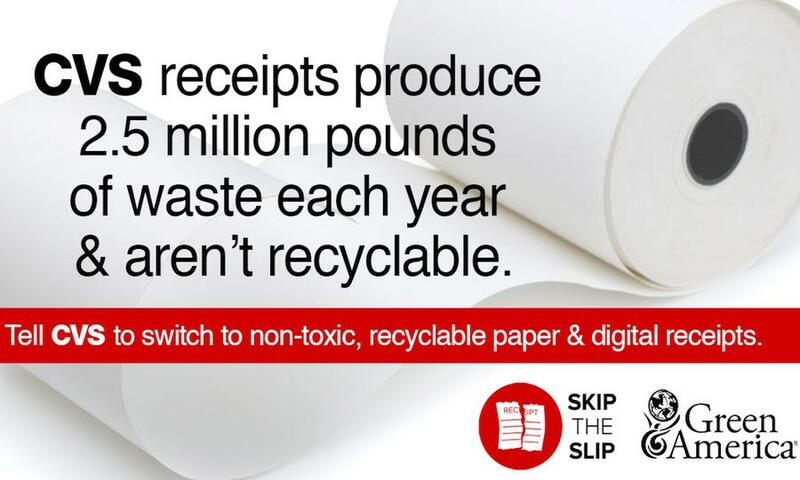 Green America’s Skip the Slip campaign is calling on CVS to replace its current thermal paper with a recyclable, phenol-free option and expand its digital program to be accessible for all customers. This way transactions can serve all customer needs while reducing environmental impacts and ending employee and customer exposure to potentially harmful toxins. 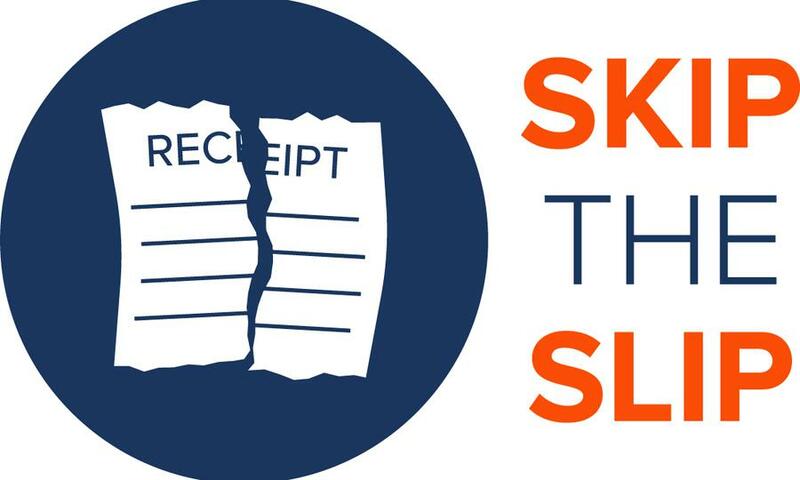 Sign our petition urging CVS to improve its receipt practices and be a leader on this issue for other companies to follow.